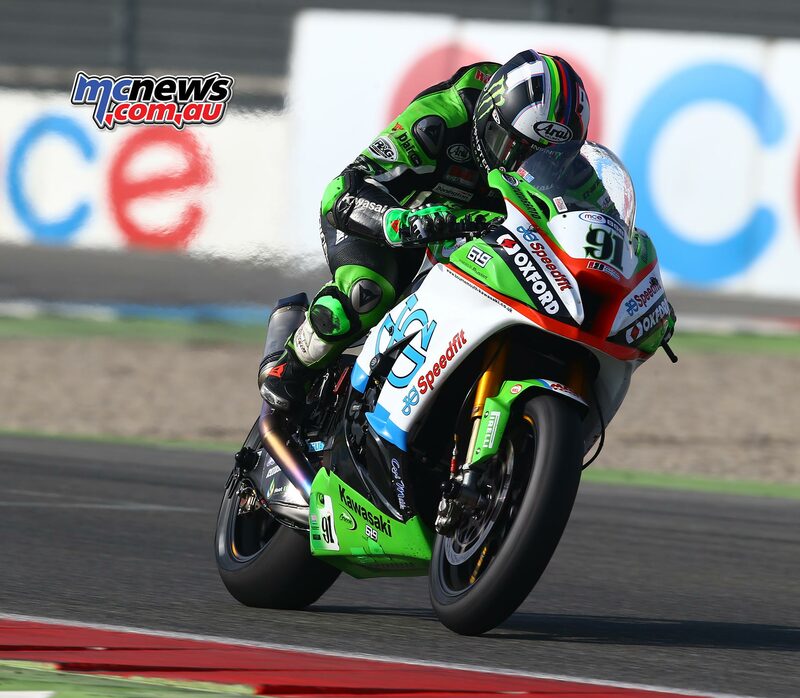 Shane ‘Shakey’ Byrne threw down the gauntlet to his MCE Insurance British Superbike Championship rivals on the opening day at Assen, heading off standings leader Leon Haslam by 0.554s ahead of tomorrow’s Datatag Qualifying. 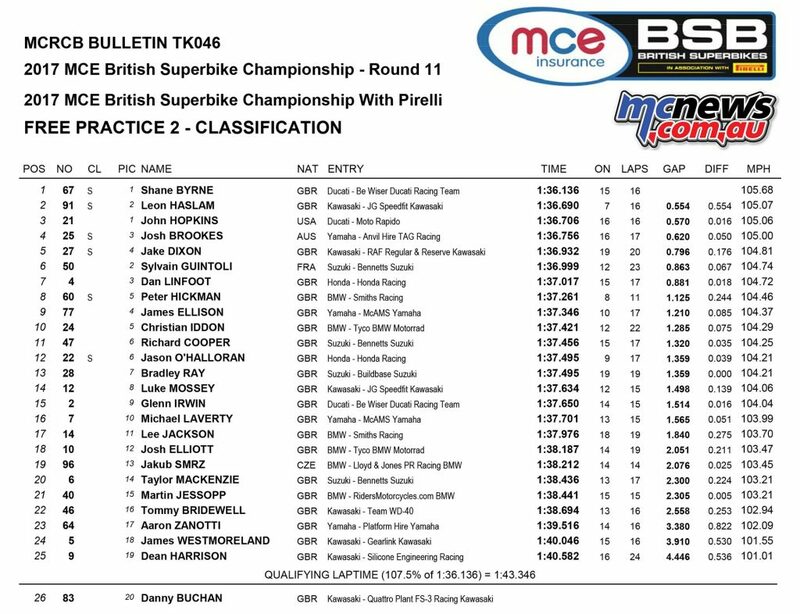 Peter Hickman had set the pace in the opening session this morning ahead of Byrne, but the Be Wiser Ducati rider was back at the top this afternoon, setting the fastest lap of the weekend so far to stay ahead of Haslam at the chequered flag. 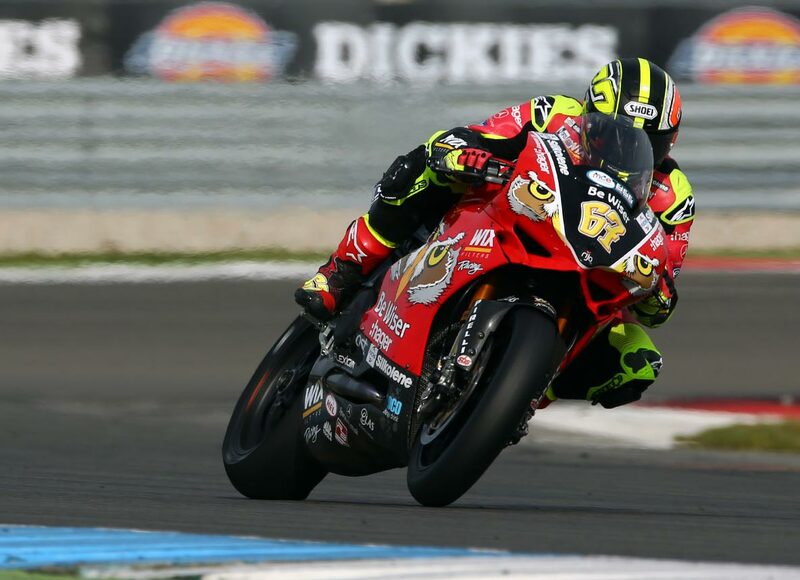 John Hopkins surged up the times in the final stages of the session to fire the Moto Rapido Ducati into third place as Josh Brookes edged up to fourth place for the Anvil Hire TAG Yamaha team. Jake Dixon had been running outside the top ten for the majority of the session, but on his final run he moved into the top ten and soon into the top five for the RAF Regular & Reserves Kawasaki team, nudging ahead of Sylvain Guintoli on the Bennetts Suzuki. 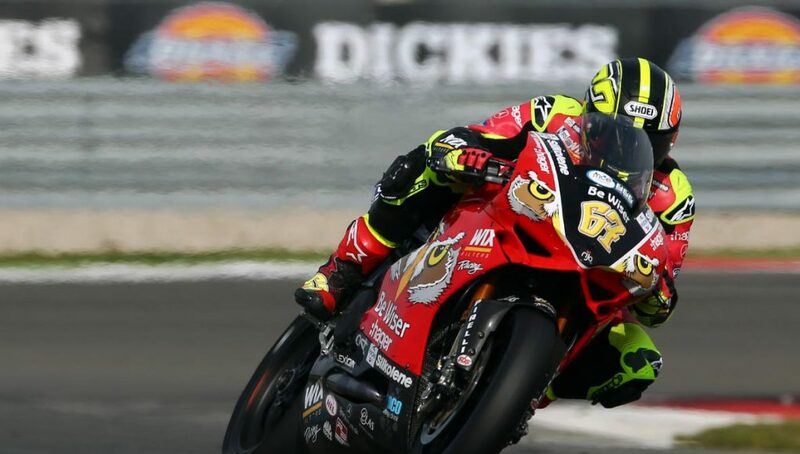 Dan Linfoot was the fastest of the Honda Racing’s contenders in seventh place ahead of Peter Hickman who only completed 11 laps after a crash, he was unhurt but there was extensive damage to the Smiths Racing BMW. 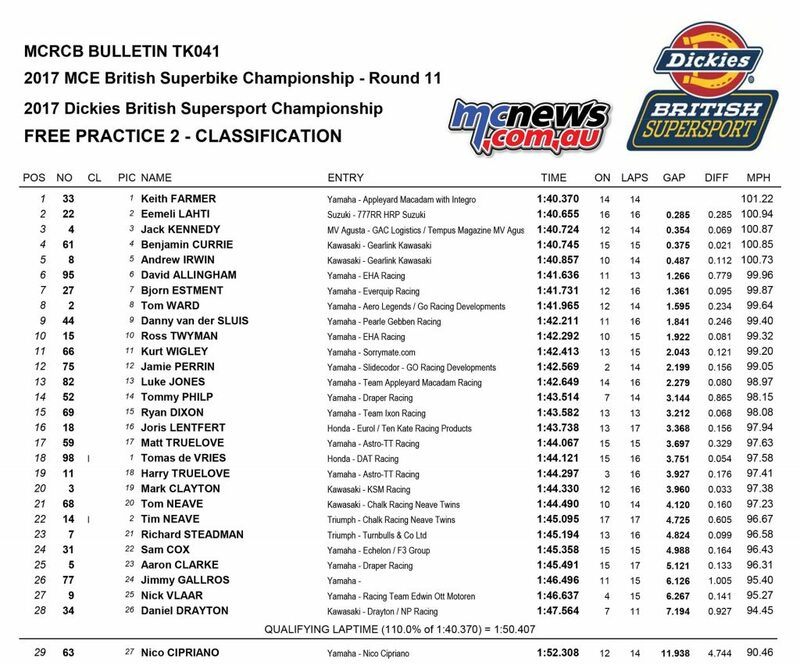 James Ellison was ninth fastest ahead of Tyco BMW’s Christian Iddon with wildcard Richard Cooper just missing out on the top ten for Bennetts Suzuki. 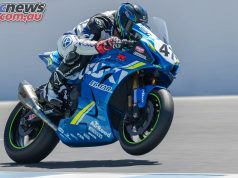 Cooper has swapped his Superstock machine for a GSX-R1000 Superbike this weekend in a one-off retro livery inspired by the original GSX-R750F. 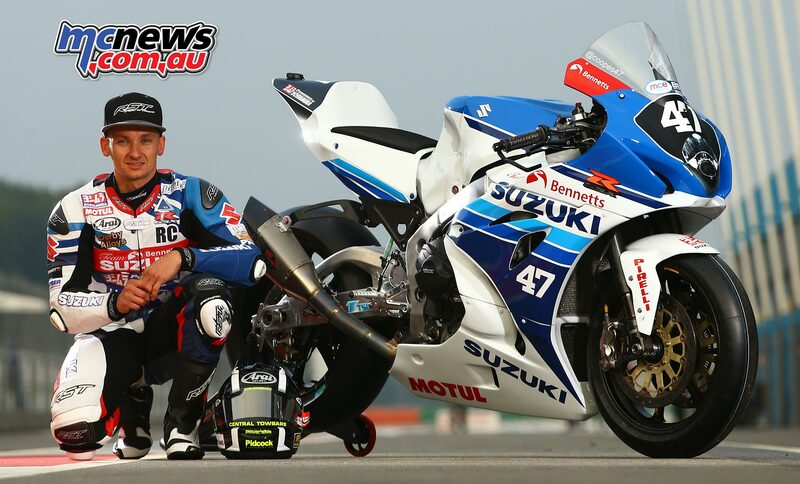 Cooper’s GSX-R1000 features a classic blue and white Suzuki design, while the National Superstock 1000 Championship challenger is also wearing a special matching set of retro RST leathers. Jason O’Halloran was the sixth of the Showdown contenders in 12th place after he also crashed out unhurt during the session.